I hope my readers had a good Christmas break. I had a good one and I must confess I am pleased as I am still on my holidays, I don't go back until after the New Year. 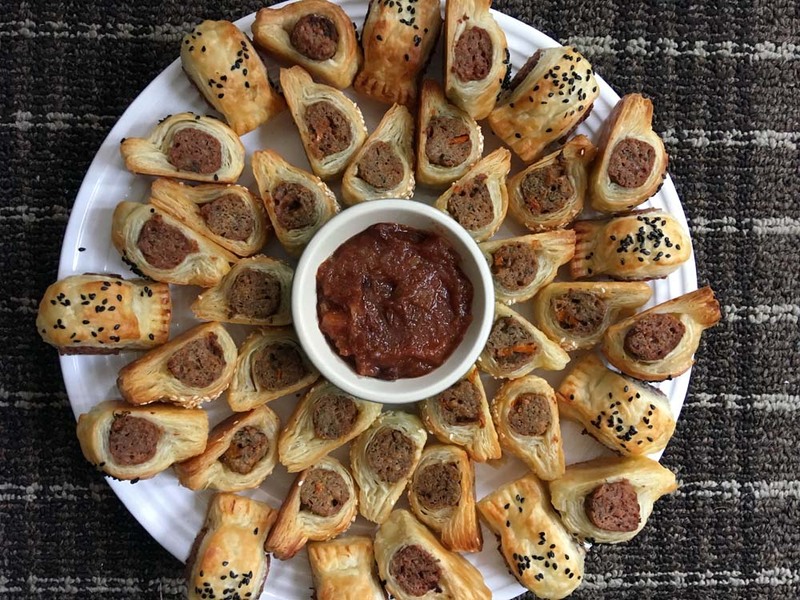 So with some time on my hands, I thought I would share some homemade festive eats. 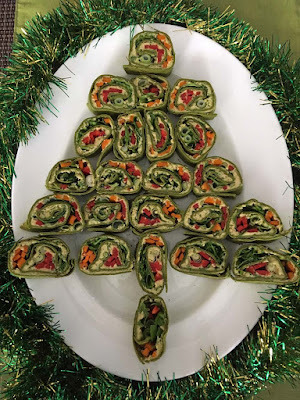 A very simple and easy recipe for pinwheels made to look like a Christmas tree. These are green wraps filled with hummus, strips of yellow, orange and red peppers, rocket and spring onions. 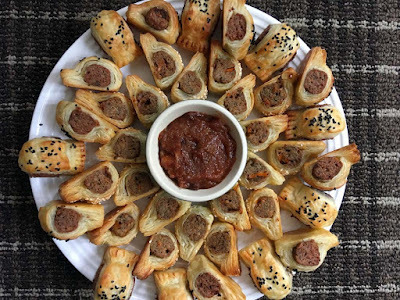 Vegan sausage roll bites in two flavours: apricot and yellow pepper; the other was beetroot and horseradish served with Smoked Paprika Ketchup. 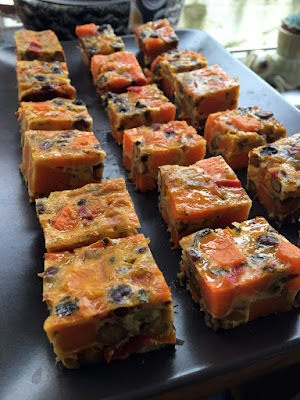 Black chickpea and sweet potato frittata bites. As well as the homemade chocolate 'salami', I made another festive bookmarked recipe from the Green Gourmet Giraffe, this time for Gingerbread Cookies. This was also actually an excuse to play with my box of eclectic cookie cutters. So the festive holidays officially begin for me and I am glad of it. 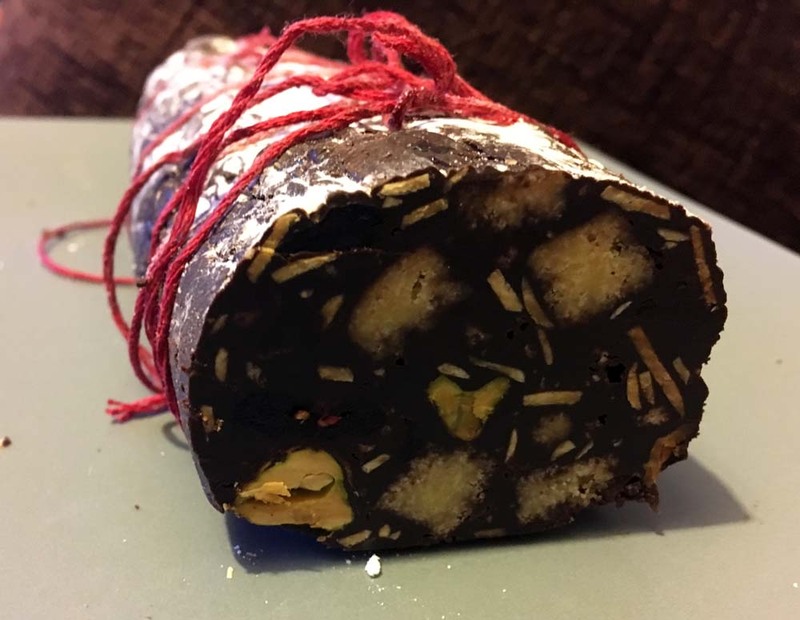 A few years back, I remembered that Johanna's from Green Gourmet Giraffe had made a very impressive Chocolate Salami at home. I admired it and at the time. 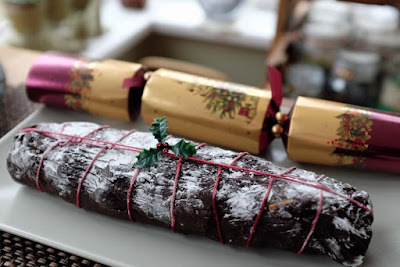 It had not dawned on me then to make it for my husband who has a thing about chocolate, but this year I was reminded of it, when I saw some supermarkets selling Chocolate Salami as part of the Christmas range. 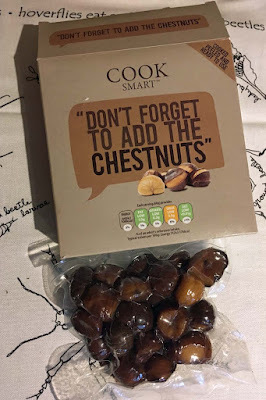 I should also highlight that last year, I also saw a very similar recipe, but this time it was showcased as Chocolate Haggis by Foodie Quine for Burns Night. Anyway, this year I was determined to make a Chocolate Salami for my husband from scratch. Here is it, I am also linking this to The Christmas Link Up hosted by Claire Justine. I must admit, although it was easy to make, parts of it were a little fiddly, especially wrapping the clingfilm around melted chocolate and then removing the clingfilm from the set chocolate, after all you don't want to be chewing into plastic. 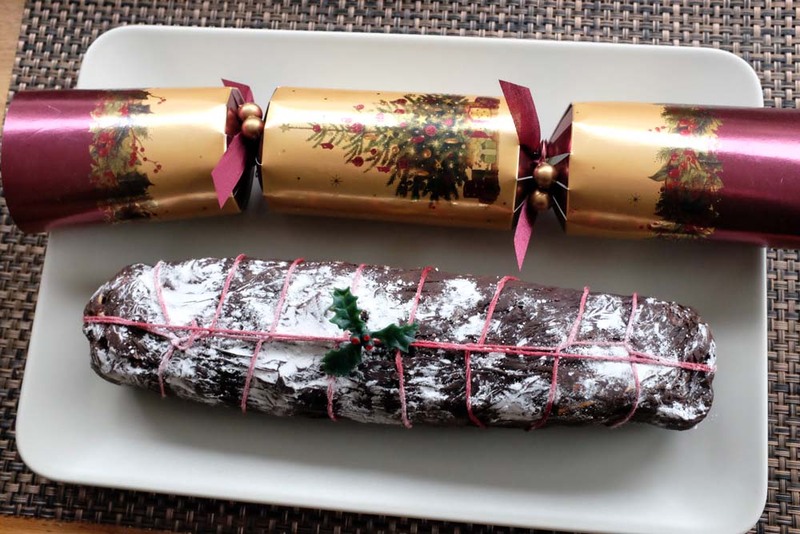 Then came tying the string around the chocolate salami. By the way, I did not want to pay £6 pounds for butchers string simply for aesthetic reasons and ended up using some red embroidery thread for effect instead. Here it a photograph of the sliced chocolate salami. Let me end this blog post and Wish all my loyal readers, old and new a Merry Christmas. Work has been busy with deadlines to complete, that I find myself too tired to come home and then sit in front of the computer to blog, but I have found some energy today. I don't have much to share in the way of cooking at home at the moment, so today I thought I would share some festive shenanigans from work. 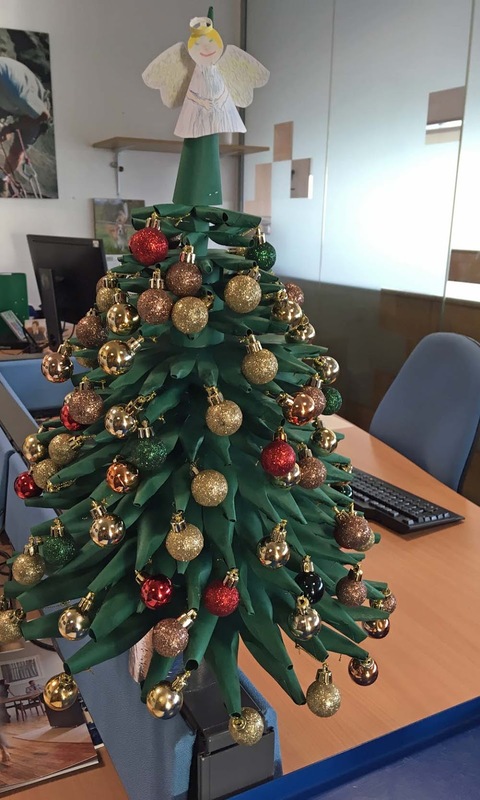 Here is a Christmas tree made from scratch with green paper and then decorated with mini baubles. 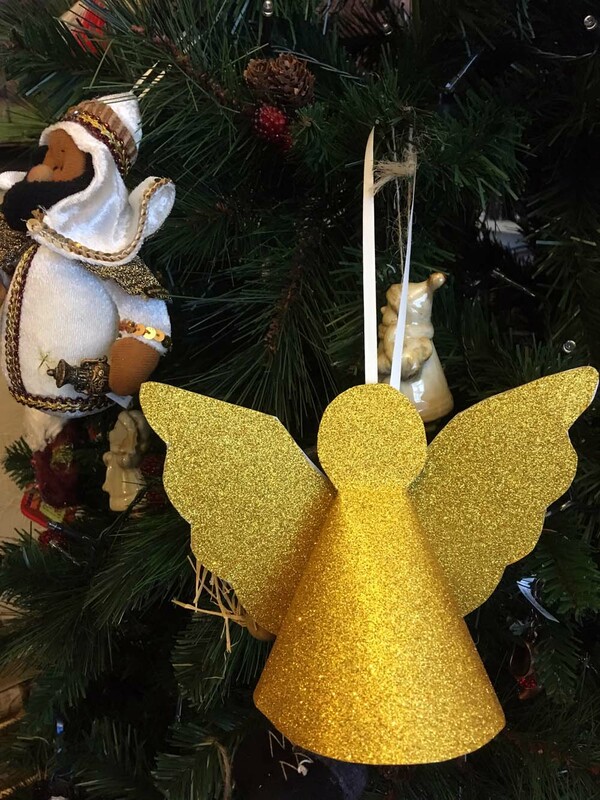 Even I made an effort making a gold 3D angel topper for my Christmas tree at home. At work, colleagues decided to spruce up the workplace and do a cheap and cheerful challenge called Pimp your Pod. 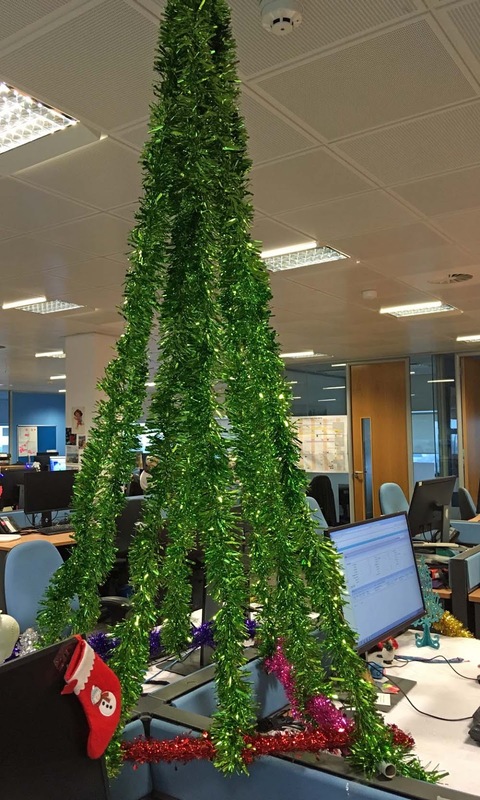 Surprisingly, me and my colleagues came first with our simple cascading tinsel Christmas tree. 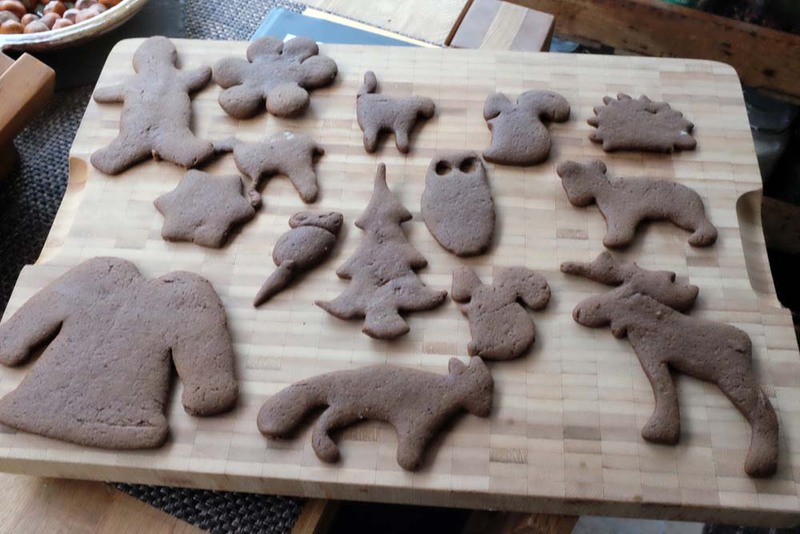 Although the Christmas tree is up, its not looking overly festive in my kitchen yet. I guess that will come with Christmas day and the festive holiday when we get to indulge and be thankful for what we have. I have started making some bookmarked festive food in advance though, such as Johanna's Chocolate Salami and Chocolate Panforte. I have other festive recipes that I want to make, but yesterday I was hit with a stinky cold and a chesty cough. So you can imagine the last thing I wanted to do is be in the kitchen sneezing over things, instead I had resigned myself in front of the TV. But I have found some energy to sit in front of my computer and share some new stuff in my kitchen. Let me start with a disclaimer, this is not a sponsored blog post - I say this because I seem to have amassed a number of Merchant Gourmet products in my kitchen...carry on reading and you will see. 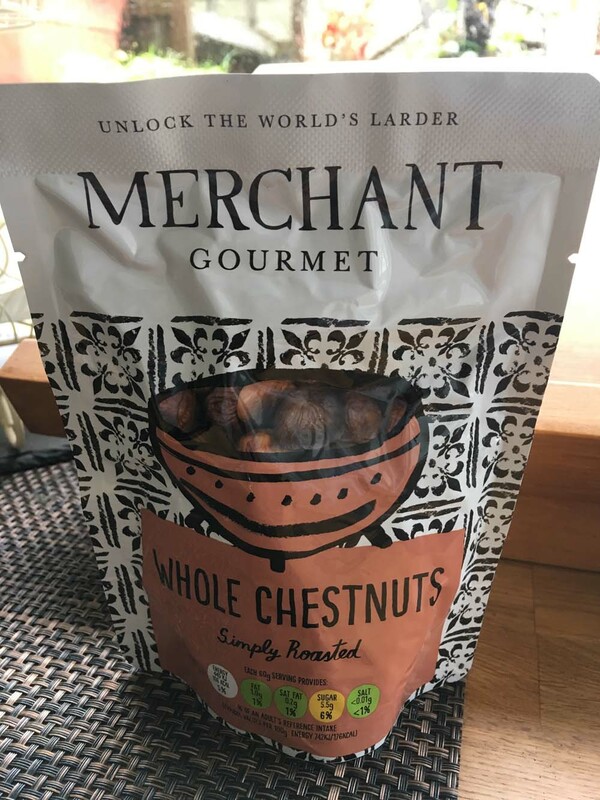 Firstly there are whole chestnuts. Its the festive season and chestnuts are must in every home. 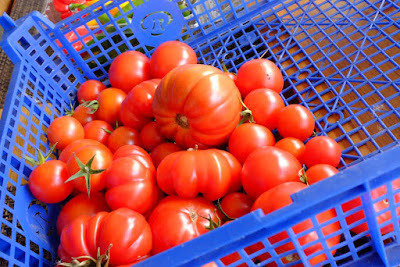 I have been such a wimp recently, I have not ventured much into the allotment garden plot of late. The constant drizzle is bringing me down. I leave home to go into work in the morning and get drenched; and I get home home and I am soaking. The joys of waiting for public transport when there is no shelter. So come the weekend and its raining, the last thing I want to do is go out - even if it is my back garden. 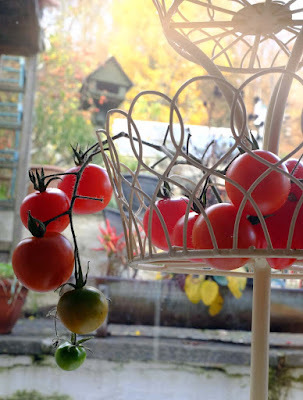 Fortunately for me, my husband picked the last tomatoes in the greenhouse in November. These were all used for a pasta sauce and a cold pasta salad for work.. Some of you may remember that from my last Harvest Monday blog post that I do still have some curly kale and black Tuscan aka dinosaur kale, and purple Brussels sprouts to harvest, but after that there will not be much else to share on Harvest Monday until Spring next year. For now, please enjoy the last of my homegrown tomatoes that were harvested in the last week of November. I am sharing this blog post with Dave who hosts Harvest Monday at his blog Our Happy Acres.